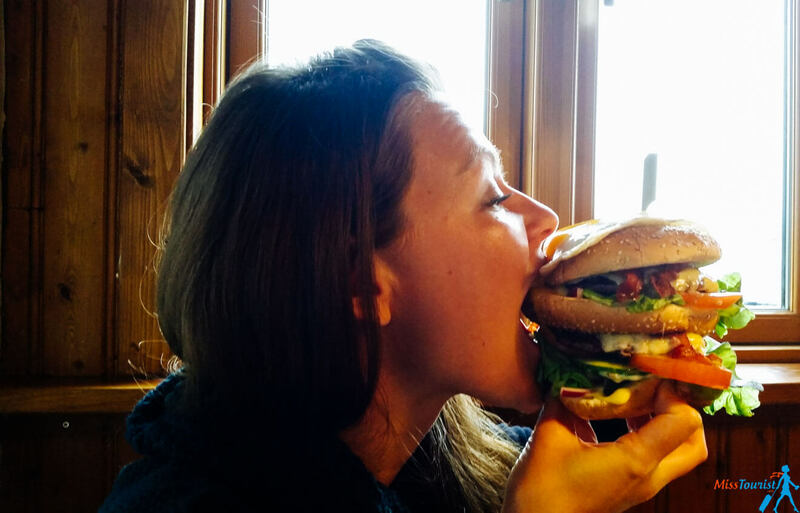 This article concludes my Iceland 14 days road trip itinerary. We already spoke about the South (the Golden circle etc. ), the East and the North, the Western Fjords and Reykjavik itself. Let’s talk about something more off-the beaten track, shall we? 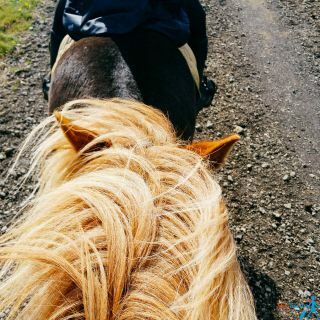 If you rent a car in Iceland, there are a ton of cool things you can explore at a maximum 2 hours drive North from Reykjavik! If you want to do it quickly, this site has the best prices on car rentals! Here is what I did on days 13 and 14 of my 2 weeks road trip, plus a bonus – things that you absolutely cannot miss when in Iceland, even if you have just a couple of days! I have seen tons of waterfalls in my two weeks in Iceland. There are all gorgeous, but Hraunfossar is special! It comes from an underground river which comes out from underneath the edge of a lava field and spills itself into the glacial river Hvítá. Except for being gorgeous by itself, I will remember this one as special, also because the way I found it. I was driving towards it in a pouring rain, with horrible weather. Two curves later, the rain stopped and the sun immediately broke through the clouds. 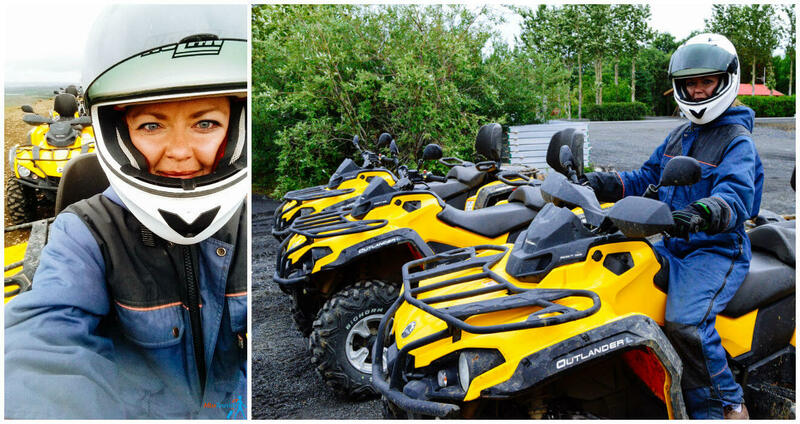 Remember, I told you about this phenomena in my tips about driving in Iceland? This created a fantastic rainbow, one with colors so strong I seriously felt like in a Skittle commercial! By the time I reached the parking lot, it had already faded a bit, but check it out, it’s still beautiful! So back to the fantastic waterfall: It is actually made out of a collection of big and small cascades that spread out over 900 meters. The color of the water is indescribably bright blue, I only saw this blue in Iceland. Let’s call it Iceland blue! 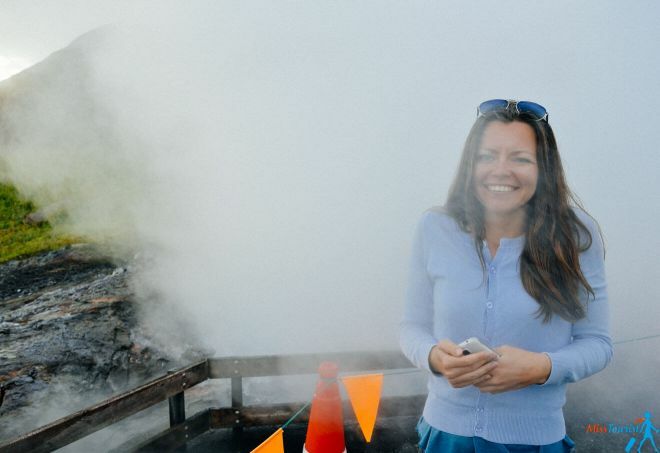 And the fact that the water comes out directly from the lava plain feels truly unique! 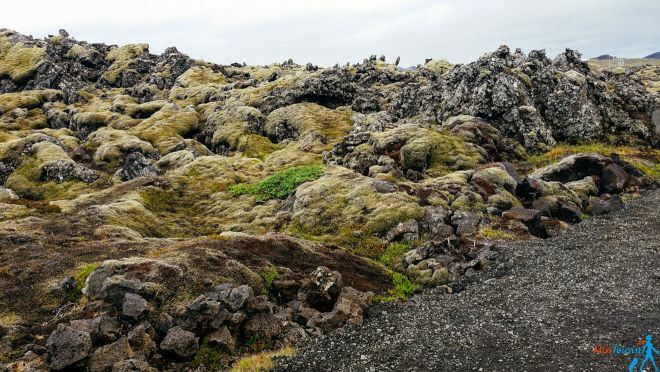 It also comes with its own story: Hraun is lava in Icelandic – ok I mentioned already what that is about. And for the second name, Barnafoss, it means “Children’s waterfall”. It takes this name from 2 children that fell into the waterfall. According to the legend, these 2 kids were left alone in the village, when all the others left to go to the church on Sunday. When their parents came back, they could not find the kids any more. Everybody went to search for them and they understood what happened only when they saw footprints leading to the natural bridge, a stone arch, over the river. The children tried to cross it and they fell into the rapid waters. Afterwards, the grief-struck mother had the bridge destroyed promising no one will ever cross that fall again. Did that make you sad? Ok guys, cheer up, it’s a legend! 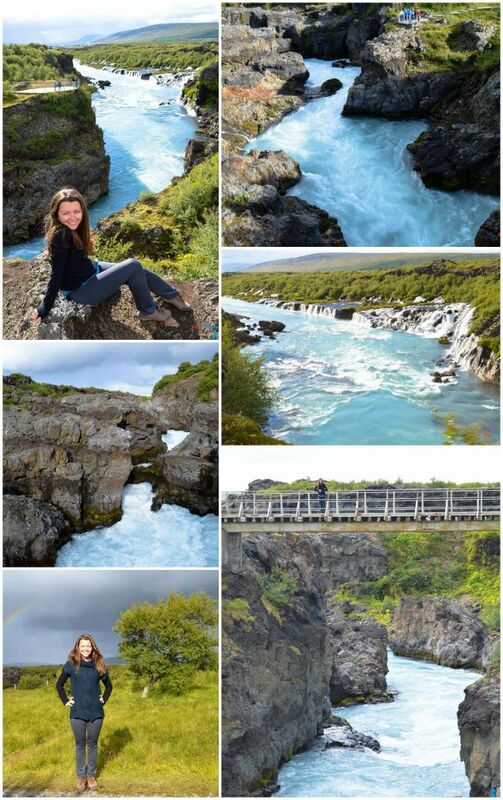 Going there makes a great trip with to see a really special waterfall, lava fields and beautiful trails. 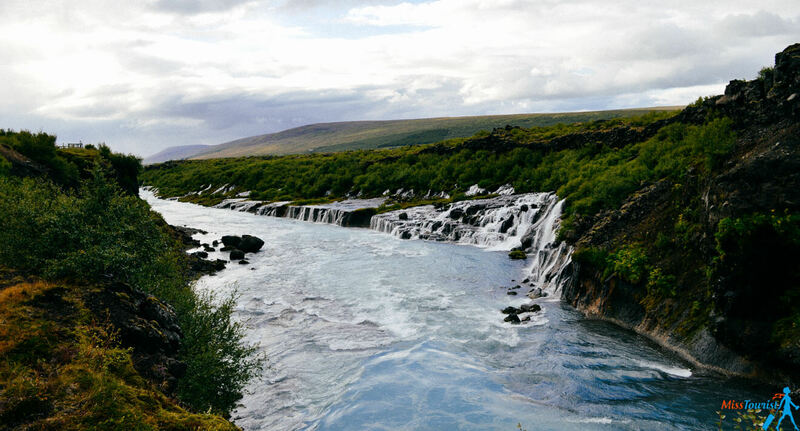 The waterfall is situated close to Husafell, which is at an about 2 hour drive from Reykjavik. There are several lava caves in the area. You can get tours from the Fljótstunga farm on the 518 road. 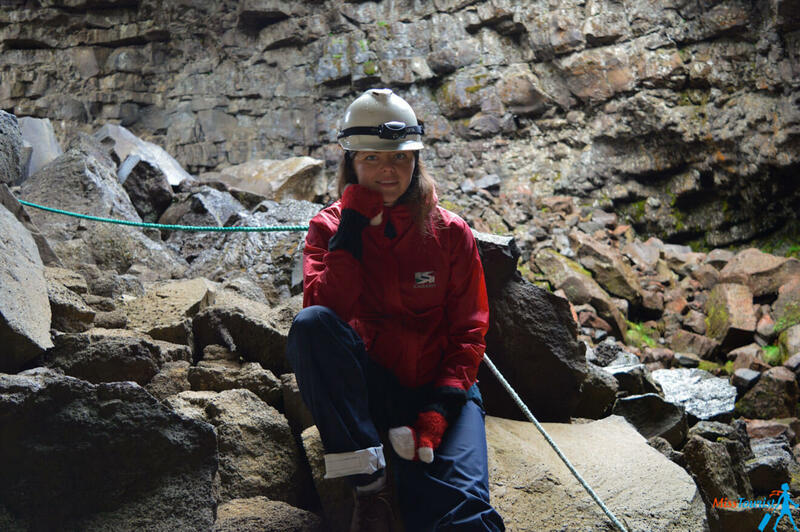 There, a guide will lead you to a cave made by the flowing lava after volcano eruption which happened long ago. Not that long, geologically speaking. It is a cool thing to see, the lava, the hot and then the very cold air have created really unusual formations of really interesting shapes. There are smooth walls that look like they were designed to look like that by humans, but nope, it’s all natural. There are also some stories about outlaws that used to live in these caves hundreds of years ago. That is much harder than in seems considering that the light does not penetrate inside the cave. If your flashlight (or torch back then) went off, that was it, you would be stuck in a perfect darkness with no way to find the entrance but your feeling of touch. Ask your guide to give you a feel of how that is by asking everybody to turn their lights off. Perfect darkness is a cool thing to experiment… I mean, in a controlled environment, of course: D.
PRO TIP: Even now there are new discoveries of small objects inside the cave. Keep your eyes open, you might find a little piece of the past lying around. COST: 3000 ISK (around 20 EUR per person). You cannot go there without an organized group. 13.3 Deildartunguhver – the boiling river! Now this is one awesome natural attraction of Iceland that you must see. 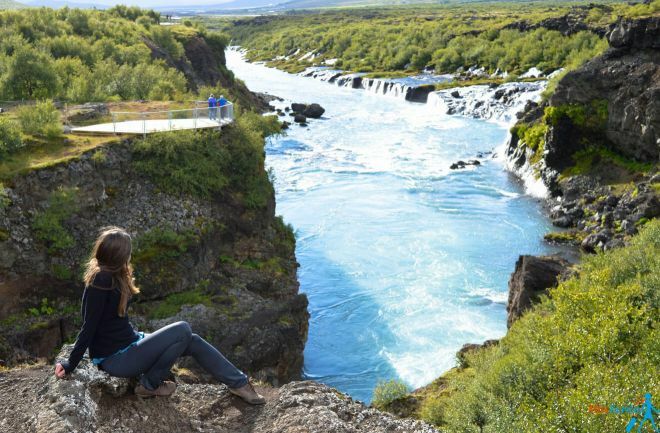 Plus, it’s on your way to/from Reyjkiavik when you come from the caves and Hraunfossar. What is it? It’s just Deildartunguhver (5$ to those who will pronounce it correct!) 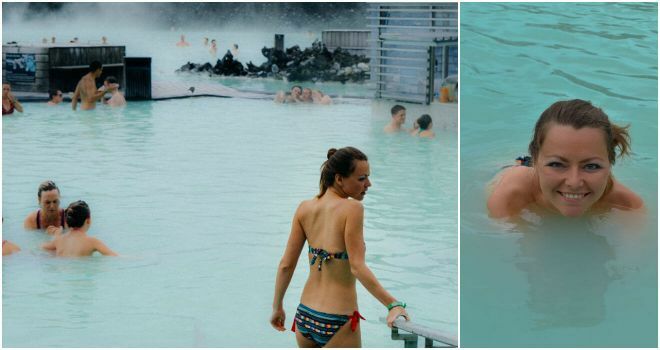 – Europe’s biggest hot spring! How big is it? 180l per second that’s how big and strong it is! Can you imagine how a stream of 180 liters of boiling water per seconds looks like? It makes everything around feel like a steam bath. You can also spot it from far away by following the great steam “clouds””. Or if for some reason you get confused by other steam clouds in the region, you will find this boiling river on the 50 road, close to where it meets the 517 and 518 roads. Around it, everything becomes a good few degrees warmer. It was hard to take pictures because of the steam (dah) but I really recommend to go there! The water is used for a geothermal plant which you can see right there, and afterwards it is carried via pipes to nearby homes to warm them up. 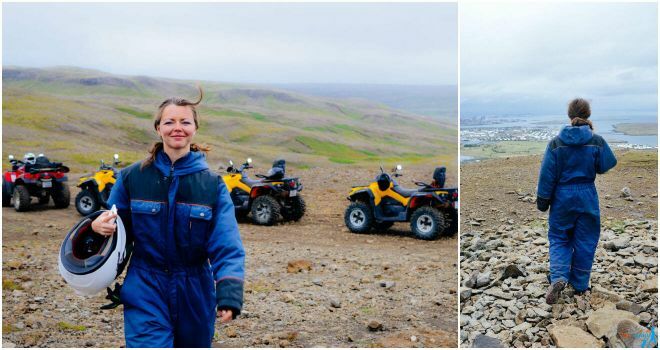 Do you want to see some of the great off-road Iceland view but don’t want to pay a fortune for renting a 4×4 car? There are some places where you cannot get with your car, it is too off road. In that case taking an ATV tour can be a great solution! 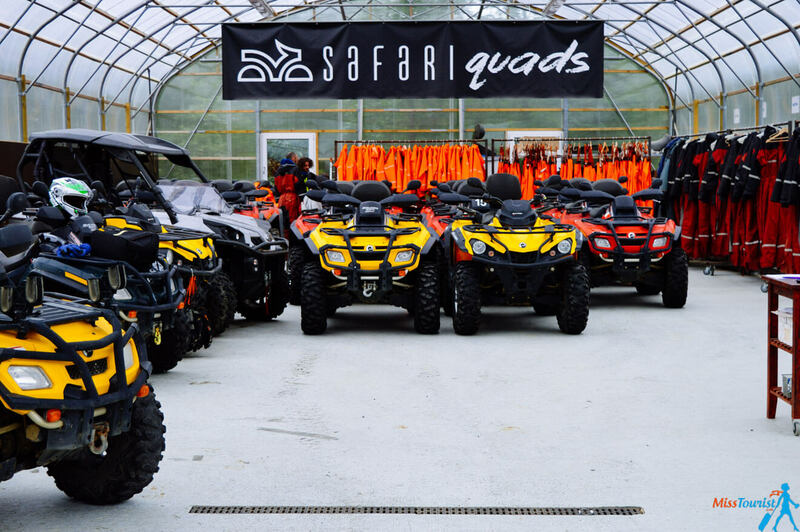 I search online a bit and found Safari Quad company that does ATV tours around Reykjavik. That suited me just great and off I went! The guide I had was truly an expert and he made sure we took care of the safety issues before the ride. Gloves overalls and helmets will be, of course, provided. There are many options of “quading” – from just 1 hour get to know the surroundings to a quad adventure even for 2 days. You can do it during the winter too with hot tubs and sauna, must be fun! I took the Twin Peaks tour solo ride – during 2 hours you will pass through a lot of types of terrain, from city streets to mountain tracks, rocky (rocky as in full of huge boulders) paths and very steep slopes. 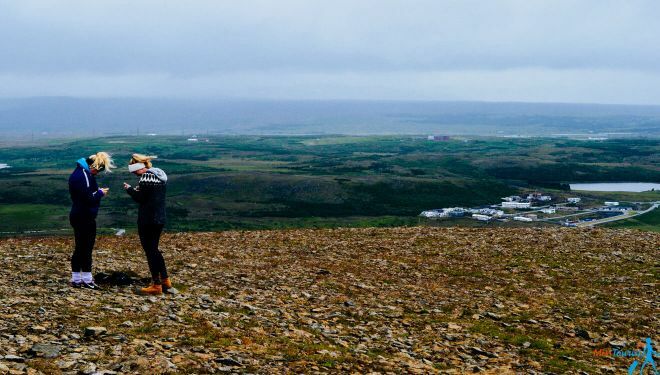 By the end of the trip you will reach a breathtaking mountain view on Reykjavik city and the peninsula. Great reward, don’t you think? Is it easy? Oh yes, it is fully automatic, the ATV has just 2 buttons – stop and gas. If I figured it out, so you can too, believe me! Yes, I admit, this one is definitely touristy, but it is popular for a reason right? You should not miss it, it is amazing! So what is it all about? 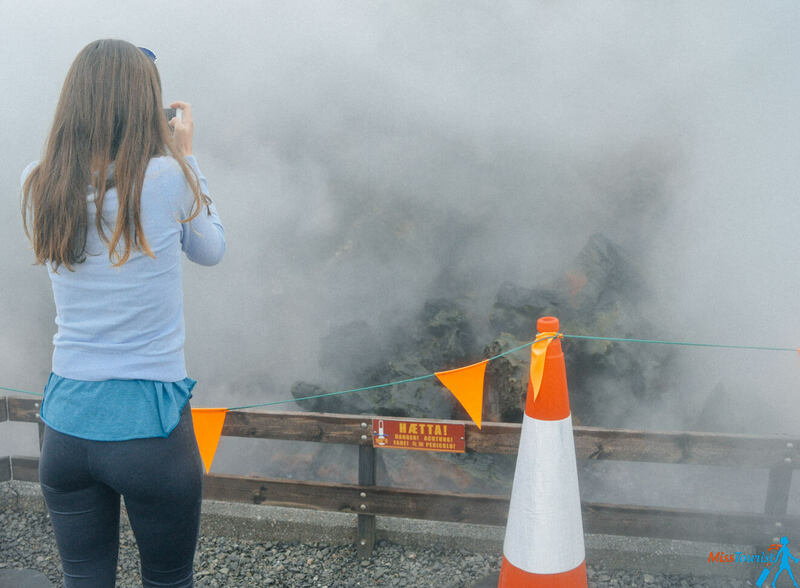 Well, the Blue lagoon is a spa which lies right in the middle of a lava field. 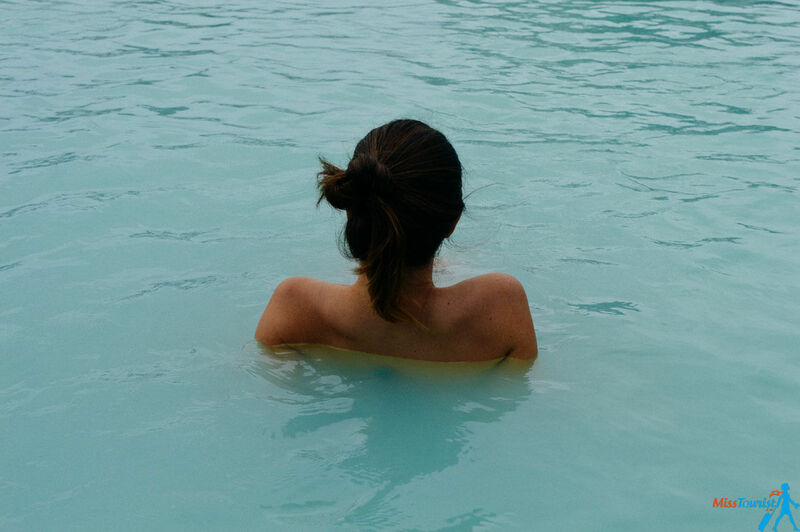 The thermal springs around this place have been turned into one of Iceland’s most popular attraction – a high quality spa center. 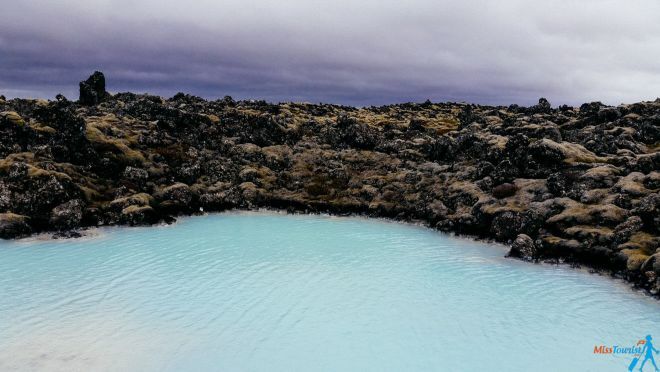 The waters are full of mineral and this is what gives the color blue and the name of the Blue lagoon. It is warm and silky and a bit smelly (from all the sulfur in the water, I guess). In some parts it is very warm, quite hot I’d say. The pools are large and you can swim or just relax enjoying the hot temperatures while outside it can be even below zero. It’s a cool experience! Standard – from 40 € gives you a simple entry to the lagoon. Comfort – from 55 € – That is the one I got. I think it is a pretty good deal – for extra 15 € you get a free drink of your choice, a towel (it is REALLY cold outside, you do need a towel! ), and a Skin care trial pack. The cream that comes in the pack is amazing! I used it during my 30 days Interrail trip. Premium – from 70 €, you get the same as the above plus slippers and wardrobe, plus a complimentary glass of sparkling wine in LAVA restaurant. Luxury – from 195 €, if money is not a problem (you are a newly-wed, planning a proposal or celebrating a special occasion), it is probably great to try this most expensive package. It is once in a lifetime luxury experience as stated on the website. In addition to all mentioned above you will get a personal changing room, a private entrance, a set of skin care products worth 55 €. 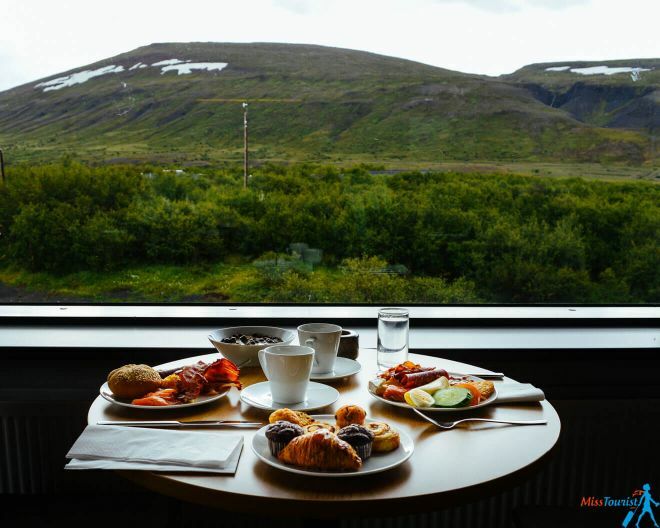 Here is a transfer if you do not rent a car and want to get right to/from Keflavik airport (no problem to leave your luggage in the locker while you bath). TIP: If you are going with a child who is 13 years or younger, he can enter free of charge. TIP2: If possible, come to the Blue Lagoon in the early morning, this way you will be able to enjoy it with less people and you will take great pictures! (Remember, if you are visiting Iceland in the winter, the daylight lasts only for 3-4 hours). The inside of the Blue Lagoon is very nicely made, I was pleasantly surprise! Everything is new and shiny, hair dryers, shampoos and creams are available for you to use. If you choose Standard option, do not forget to take your towel with you, it will not be provided. There are many questions about hair, will it be destroyed after the Blue Lagoon or not? To be honest with you, I do not know if it will damage your hair. I read a lot about it and decided not to wet mine, and I think it was a good decision. COST: See above, the cheapest entrance option is 40 EUR in the winter, 50 in the summer. 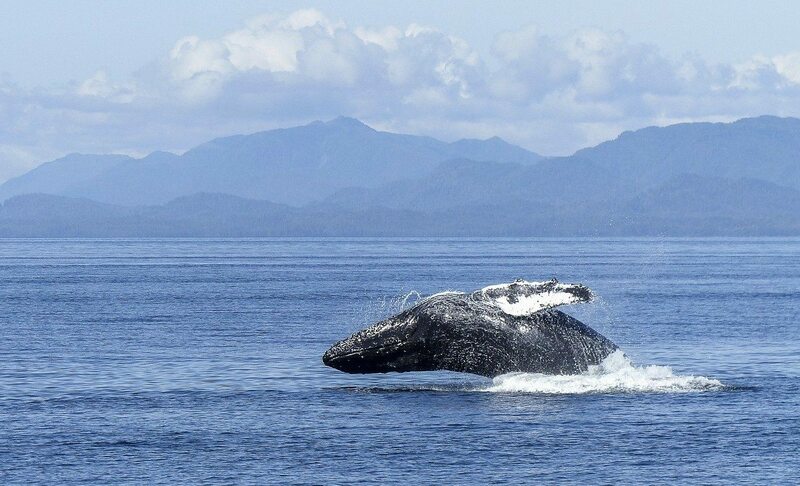 Or, if you want to combine the whale watching and horse riding together in one organized tour – this one is for you! 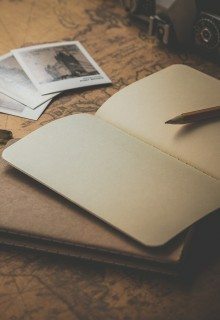 If you are planning to do any of the trips of the above (or all of them? 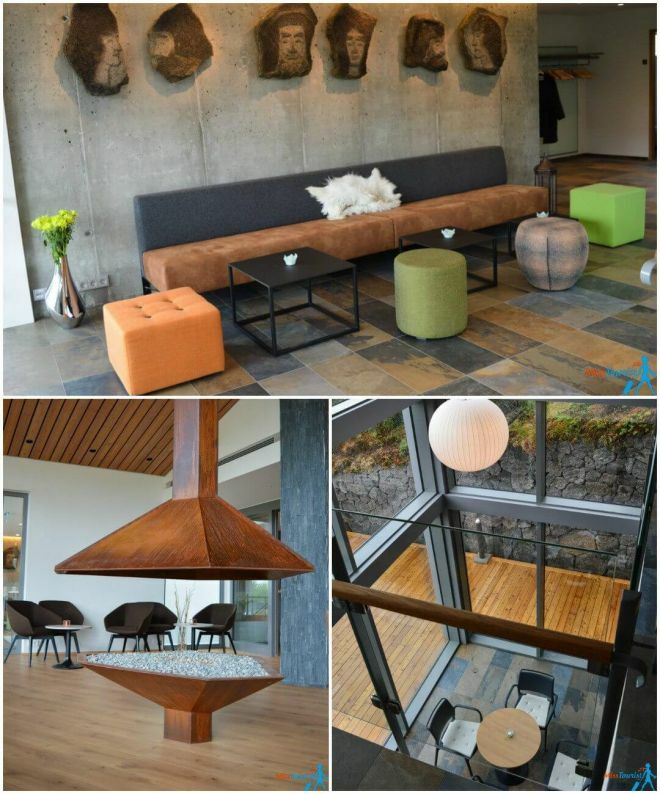 ), I recommend staying in a hotel near Reykjavik. This way you do not have to rush to come back to the capital before it gets dark. I stayed in a great place called Husafell hotel. Honestly, that was the best hotel I stayed in Iceland. It is brand new, just opened its doors to visitors. Great location and amazing facilities! Oh, and if you want to go for an Iceland northern lights tour, head there from November to April, the location is just perfect for Northern lights admiring! If you are of an adventurous spirit, this place is your dream! You can stay for a looong time, the list of activities around are endless! The waterfall and the cave I described above are just around the corner. Different corners :), but around the corner, nevertheless! Oh, and what is cool about that place is that they have a thermal slide at their pools! There are many places all around Iceland that offer their guests thermal baths (no wonder!). But Husafell was the first place where I could slide down the slope in a hot thermal water. How cool is that? I have heard that their restaurant is really good for dinner, but I have not tried it. I did eat at the Husafell bistro (just next from the hotel) – the double hamburger was amazing, we even came back the second time! Check the rates/ book your stay in Husafell hotel here! Great job, you have finished reading all 4 parts of 14 days road trip itinerary, you are all set to go! In this post we talked about numerous natural wonders that are located just around the corner from Reykjavik. You are welcome to use my ready to go driving itinerary, or you can just visit it right away from Reykjavik if you don’t have much time to discover more remote regions of the island. If you go, you will probably want to rent a car (very much recommended). 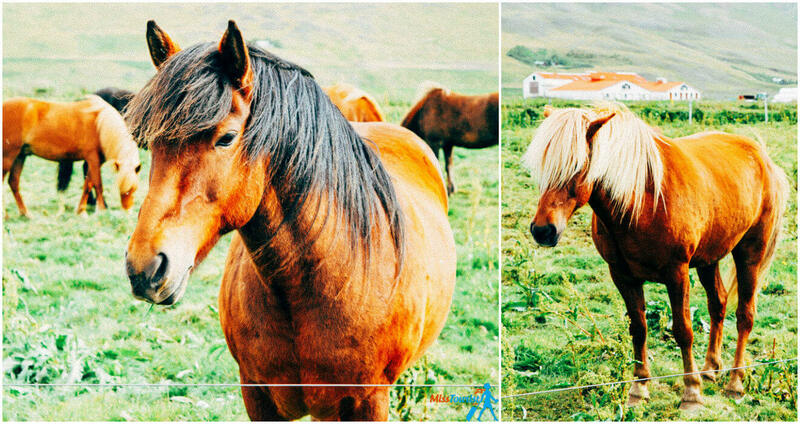 Read my most comprehensive guide of how to choose a car in Iceland. 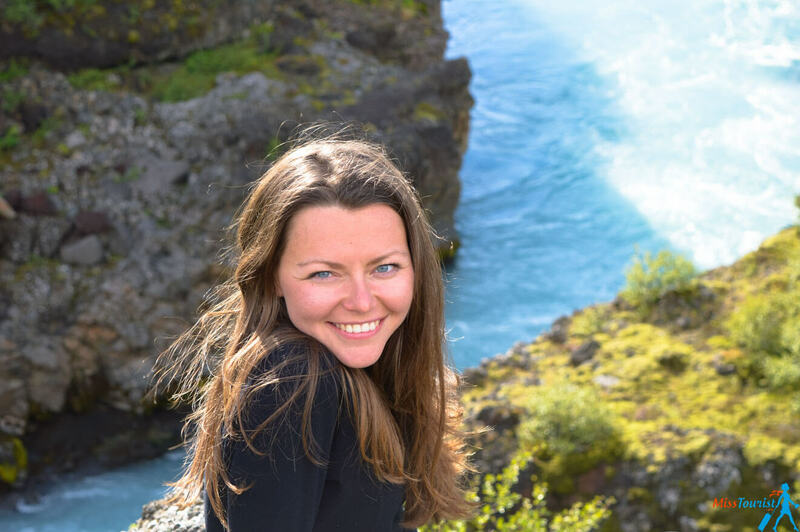 Congratulations, you have finished reading my ultimate Iceland travel guide, now you are completely ready to go! (If you did not go through all of them, I invite you to do it, lots of useful tips will be found there). 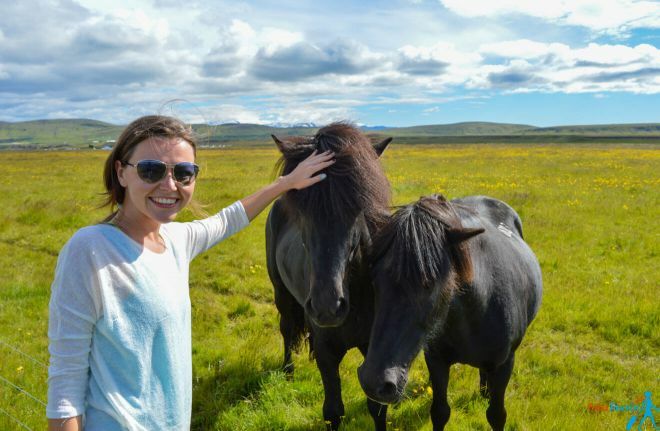 Please share and “Like” it, let’s spread some Iceland love together! Have you been or are you planning to go to Iceland in the future? Great information! This is going to be very helpful. What are your thoughts on the Secret Lagoon vs the Blue Lagoon? I believe it is cheaper and may be less crowded, but wasn’t sure how they truly compare. Opinions varies, but i definitely liked the “original” Blue lagoon better. Why not to go to both of them, the one on the North is indeed cheaper. Thank you very much. I really appreciate you taking the time to provide all of this information and I enjoyed all of the photos. 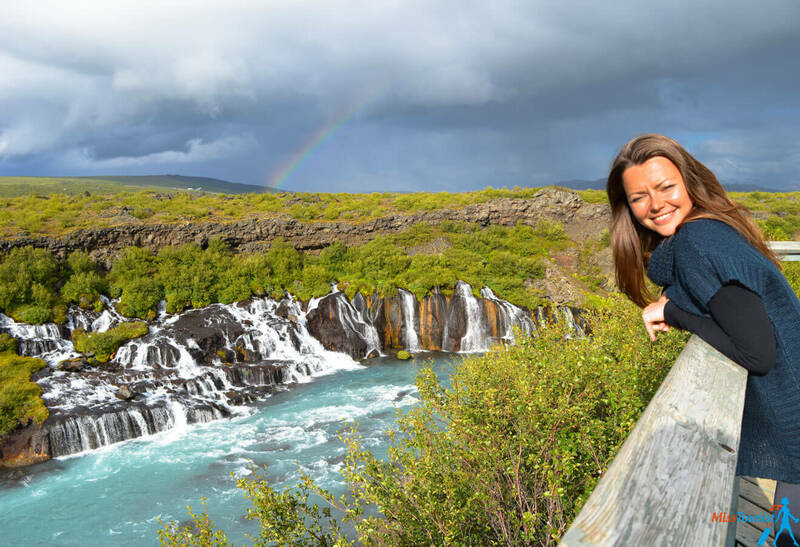 We will be in Iceland for 18 days and plan to travel the Ring Road and western fjords for 14 days and then spend four days in Reykjavik and travelling the Golden Circle. For the Ring Road section we will be in a camper and the final four days we have rented a cottage and car outside Reykjavik. Our trip ends on October 16. I traveled around the Golden Circle and Snaefellsnes with my two sons last July and can’t wait to go back. We are going to Iceland for three weeks in August. We are older people who have had Iceland on our Bucket list for some time. Now that we are retired we are on our way. Loved reading all the information you shared. Many more Happy Travels for you. Your informations are very detail but i have a question regarding one particular ride tho. did you travel from DYNJANDI to HUSAFELL and stayed a night at husafell? because i’ve realised that would be one long ride haha. Thank you once again for taking your time to share. Appreciate it so much! Yes, it was quite a long ride indeed, but it needed to be done at some point and there is pretty much nothing that interesting in between, so that is the way we did it yes. If you feel like that would be too much of a ride (which I absolutely understand), you could stay somewhere in between, lets say in Borgames or around. Fantastic information! I’m sure we’ll use every tip. I plan to visit Iceland in February due to the cheap airline tickets and cheaper prices on everything else. 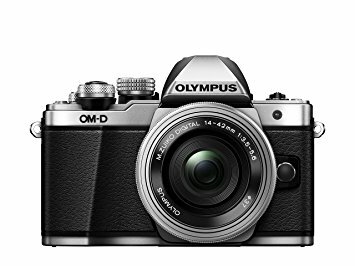 Do you recommend a different trip due to less sunlight? I have read that even though sunlight is 10am-4pm, the darkness is not that dark. Also I read cloud cover is heavy in February. How are the roads generally in February?